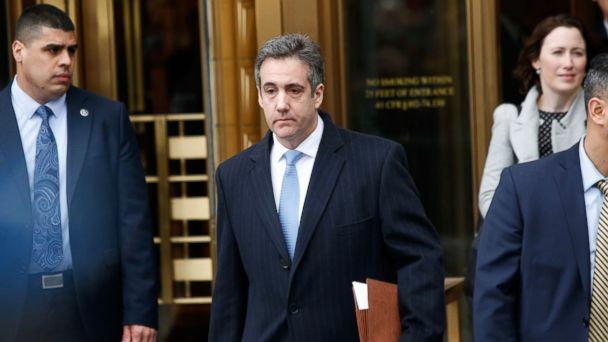 A federal judge in Manhattan has sentenced Michael Cohen, President Donald Trump's former personal attorney and fixer, to three years in prison for various crimes including campaign finance violations, tax evasion, and lying to Congress. Before leveling his sentence, Judge William Pauley said "Cohen pled guilty to a veritable smorgasbord of fraudulent conduct" and "lost his moral compass," adding that "as a lawyer, Mr. Cohen should have known better." For more than a decade, Cohen stood by Trump's side as a personal attorney, fixer and confidant, famously proclaiming that he would "take a bullet for the president" and "never walk away." But over the past year, as investigators targeted his personal finances, Cohen flipped on his former boss and cooperated in multiple investigations, including Mueller's probe, targeting Trump's campaign and family business operations. Before ruling was issued, Cohen had pleaded for leniency, accusing President Trump - his former boss - of causing him to "follow a path of darkness rather than light" and "cover up his dirty deeds." Cohen's attorney, Guy Petrillo, argued that Cohen "came forward to offer evidence against the most powerful person in the country." But while the special counsel's office appeared to be willing to give Cohen credit for his cooperation, SDNY prosecutors took a tougher stance. In court on Wednesday, Jeannie Rhee, a prosecutor with the Office of the Special Counsel, said Cohen had provided "wide ranging and helpful" information on matters related to the Russia probe while being careful not to inflate the value of that information. Cohen "didn't come anywhere close to assisting this office in an investigation," Roos told the court, adding, "the charges portray a pattern of deception, of brazenness and of greed." With the pounding of his gavel on Wednesday morning, Judge Pauley marked the conclusion of Cohen's improbable journey from Trump's legal counsel to perhaps the most potent vehicle for President Trump's legal exposure. Federal prosecutors allege that Cohen violated campaign finance laws by paying off two women who allege to have had affairs with Donald Trump acting "in coordination with and at the direction of" the then-candidate. Trump has argued the payments amount to nothing more than a "simple private transaction," and do not qualify as campaign finance violations. "Hopefully this signals to others that it's time to come clean," Swalwell said. "Cohen is one of the only individuals who lived in Donald Trump's personal, political and financial worlds," Swalwell said. "I would like to see Michael Cohen come clean, wholly before Congress, about what the president knew and what he was doing politically and financially with the Russians. I would like to hear from him. Just for the country's sake."